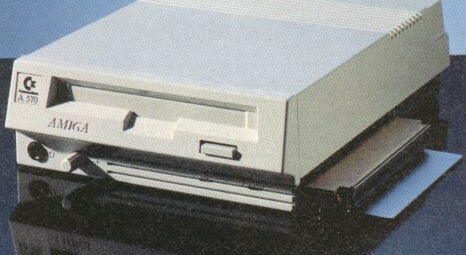 Released 1992: The Amiga A570 is a single-speed external CD-ROM drive for the Amiga 500 computer launched by Commodore in 1992. 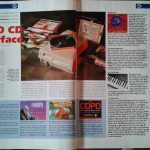 It was designed to be compatible with Commodore CDTV software as well as being able to read ordinary ISO 9660 CD-ROM discs. 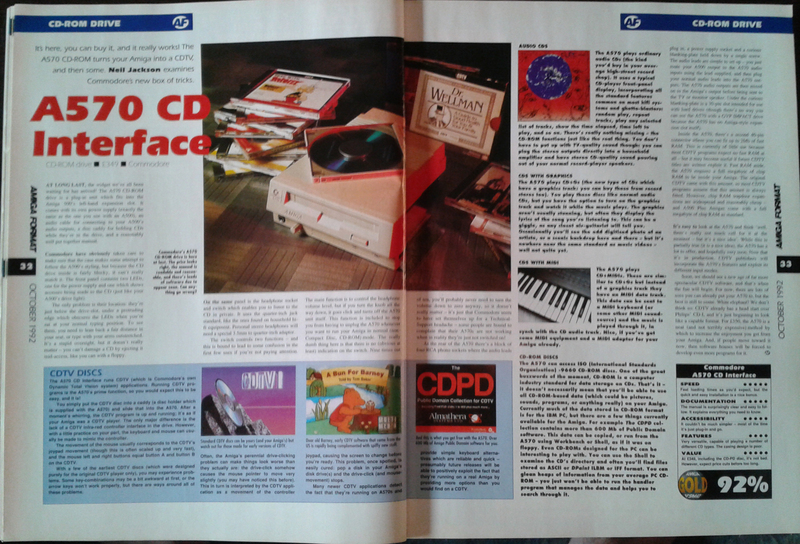 Because of a mistake, it was first given the designation A690 that was intended for an expansion unit for Amiga 600. Pre-production devices under this name were delivered to developers (my unit is one of these). 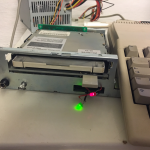 The A690/A570 used a proprietary Mitsumi CD-ROM interface. It contains an 40 pin expansion header for optional memory expansions for 2 MB fast memory and a rear expansion slot for optional plug-in cartridges with SCSI controllers. It was in a ruff state when I got it, missing power supply and the front “knot” that got two functions. 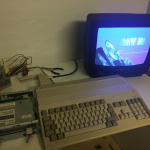 It works as a volume knot for the headset output and when turned to the bottom its switches from CDTV mode into a regular CDROM drive that can be access in Amiga OS using a device driver. 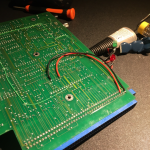 I connected a ATX power supply by attaching the wires to nails inserted in the correct pin outs on the A690 power connector and connected the A690 to the Amiga 500. 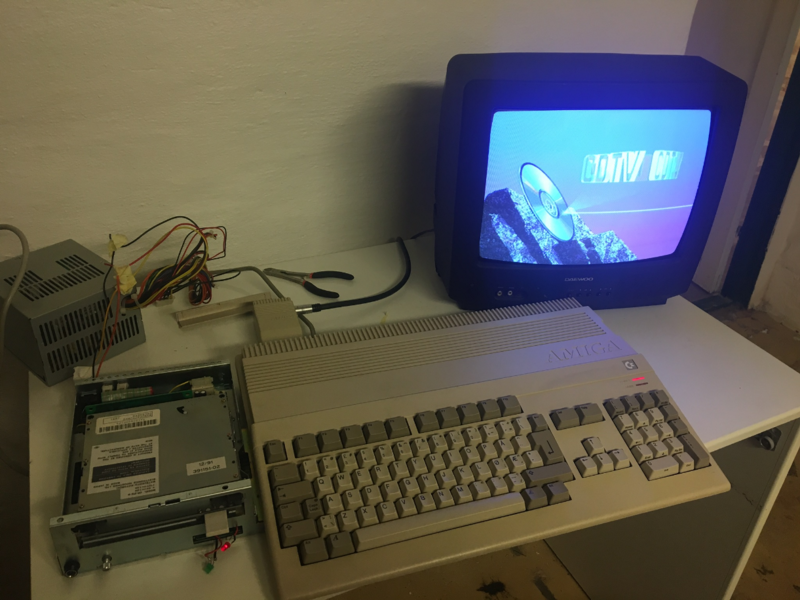 The A690 didn’t worked and I got no CDTV startup screen. Then pulled the A690 apart and found that it in opposite to the retail version had a battery hidden underneath the drive mechanism unit. The battery had leaked and I measured that two tiny traces on the circuit board in the battery leak area was damaged. 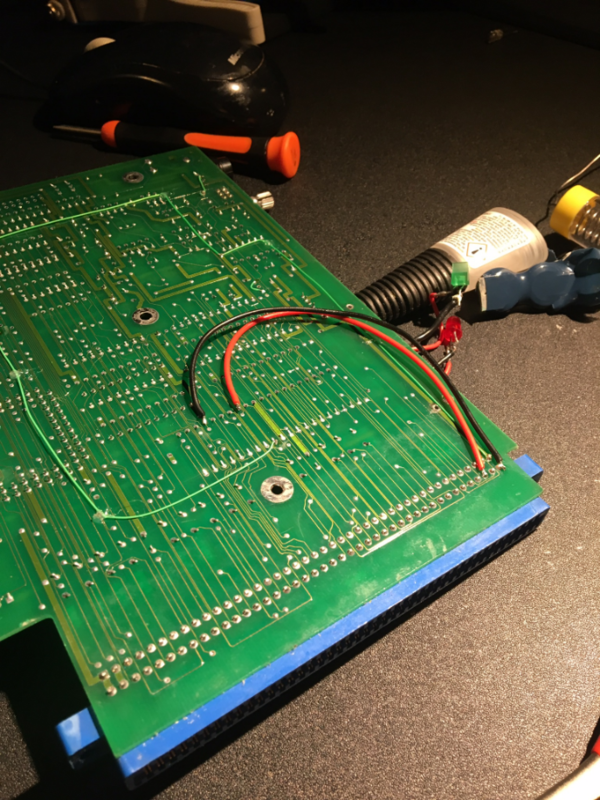 I fixed this with wire wraps, and then it worked, I got the CDTV boot screen on my Amiga 500. 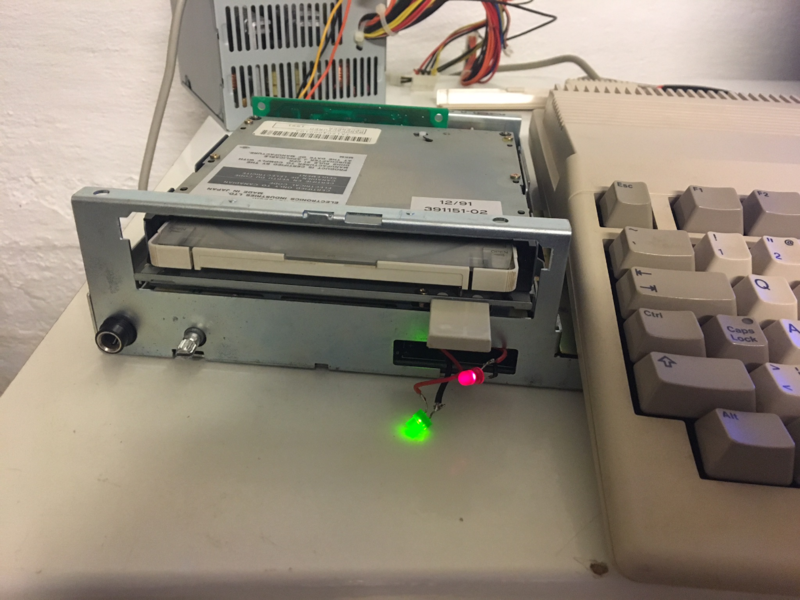 Then I found a suitable modern brick power supply from an old external network hard disk, I soldered on the connector taken from a broken Amiga 500 power supply, the A690 actually uses the same “square” type of connector. This worked out great. Then I made 3D model of the missing volume knob and 3D-printed that one, painted it with prime filler and then with car-paint. Didn’t got an exact color match, but close enough I think. Getting power from the ATX power supply. Repair the battery damaged traces.